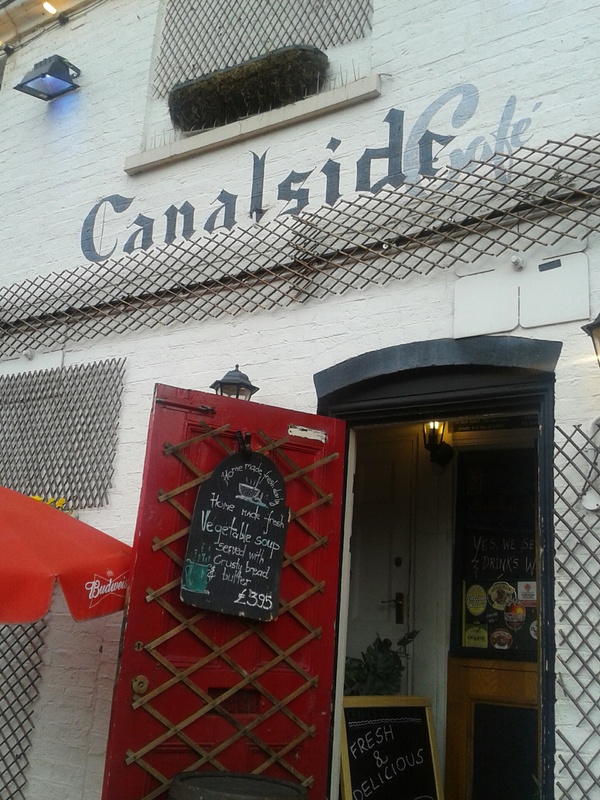 With its real fires, mismatched furniture and fairy lights, Canalside Café might be the cosiest spot in the city. It's right next to the water at Gas Street Basin, just a short walk from the Mailbox and Brindleyplace. It's great for drinks with a broad stock including ales, Freedom lager and mulled cider. As soon as I walked in I felt my creative juices flowing and like I'd just been let in on a secret. 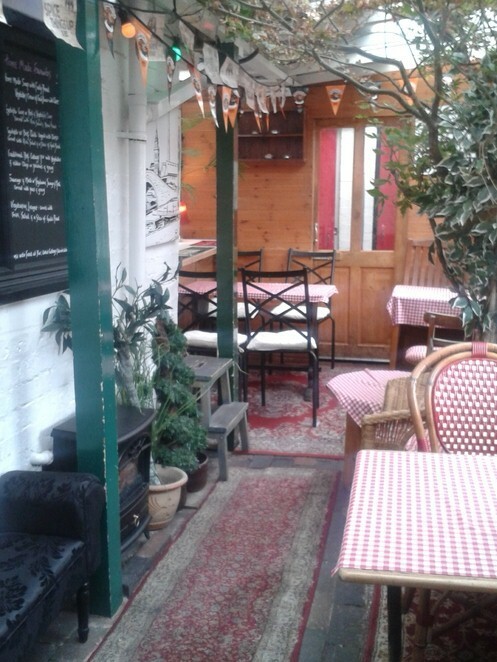 Cute and cubby-hole like, with a higgildy-piggildy layout, the café barely warrants its title. 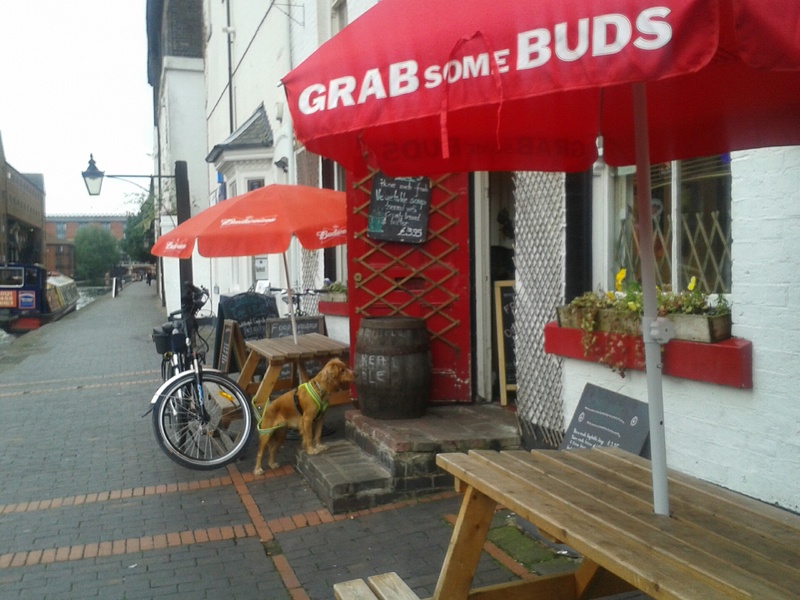 It's more like a canalside shack which fronts as a café, but is also a licensed pub. 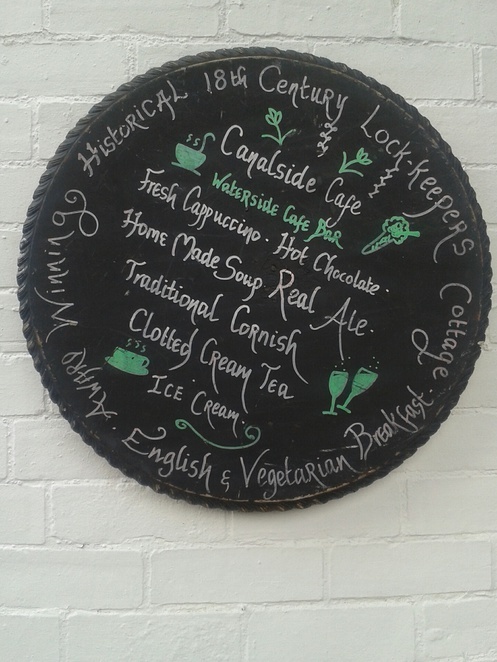 Like the sign says it's an award-winning 18th century cottage, which the new landlords have transformed into a charming café. The location makes it unknowingly cool. The modest shack works as a kooky café, but also a fantastic bar filled with local ales. All of the food is made on sight and all of the cakes are organic. 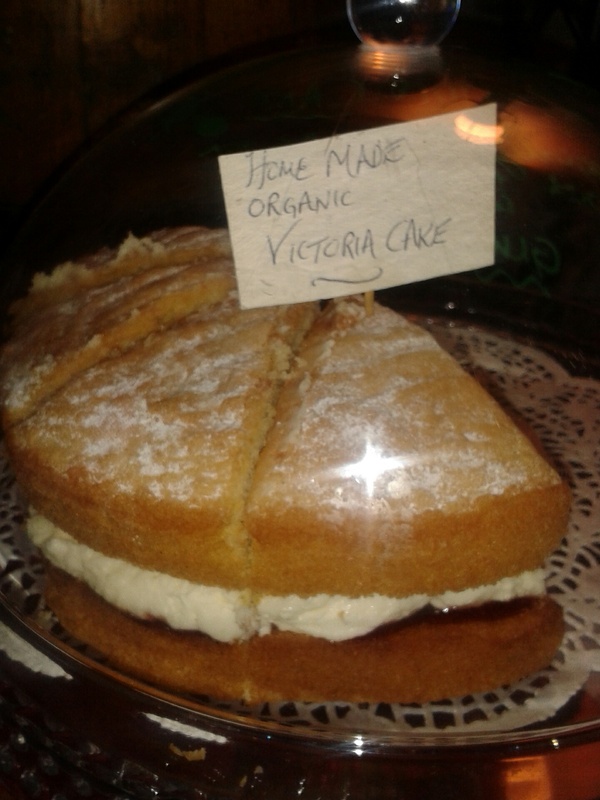 The organic Victoria sponge cake is lighter than air, and very moreish. Amongst the desserts are home-made soups served with crusty bread, which is surprisingly good. Canalside have been doing their stuff for the past sixteen years, so they're pretty confident in what they sell, even with a sceptical new customer like myself, the waitress didn't show even a flicker of doubt as I dubiously eyed the menu and ordered a bowl of cauliflower cheese soup, slice of cake and pot of tea, which I enjoyed by the fire. Generally meals mostly come in at under £5 and it's an even split between veggie and non-veggie food. I like the weird and wonderful, and if you're like me you'll fall for the mismatched carpets, mix of threadbare and brand new carpets, upholstered seats and random wooden chairs which sets this place up as somewhere you can certainly hang. 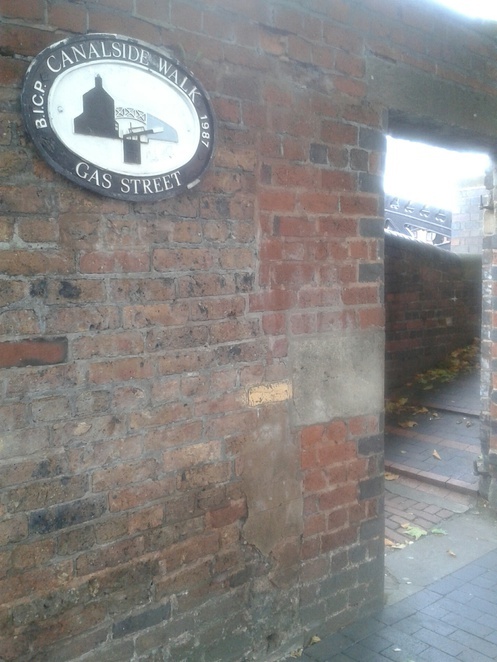 Even getting there is an adventure: you access the cafe via a hole in the wall of Gas Street, carefully go down the slope, turn right and it's right there, on the canal. The opening times are great: 9am - 11pm Monday to Sunday, so you can enjoy a late night hot drink (which I crave regularly), when you're in the city. 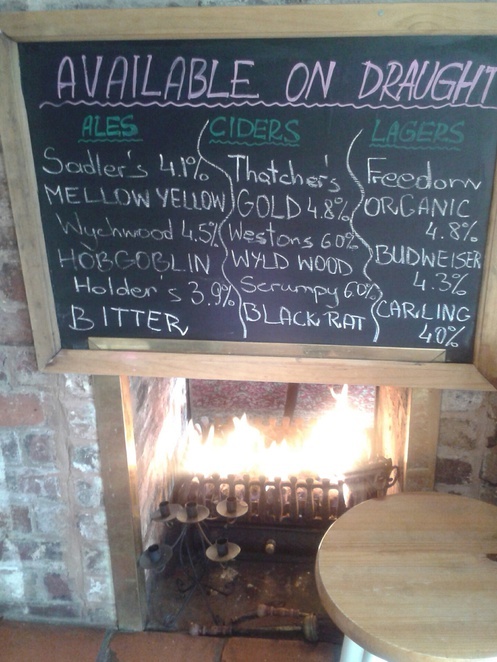 The outdoor benches are perfect for summer weather, and you can watch the barges go by or if you're a smoker, but I'd always sit inside because slurping a bowl of soup by the fireside is an unbeatable experience, and it's such a warm and welcome environment. Funnily enough I felt very 'safe', if that's a good enough definition of somewhere; Canalside Cafe isn't full of excitable drunks, but people who just want to enjoy themselves, and indulge in some good home-cooked food - it is a café after all.